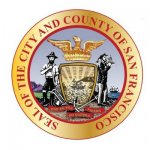 Get a San Francisco County Traffic Ticket? You Can Beat It! Did You Get a Ticket in San Francisco County, California? You can fight San Francisco traffic tickets by getting them dismissed much easier than you may think. In San Francisco, California, drivers are allowed to contest a traffic ticket using a Trial by Written Declaration. This is best way to fight a traffic ticket without going to an San Francisco courthouse or hiring an expensive San Francisco traffic ticket lawyer. We have found this to be the best way to contest a California traffic ticket, period. This option is available to every driver who receives a traffic ticket in San Francisco, California. In fact, if you turn over your traffic ticket you will see that a Trial by Written Declaration is listed right on the back of your ticket as one way to fight it. This process has been around since 1978 to avoid having to pay traffic ticket fines. TicketBust has been helping California drivers prepare Trial by Written Declaration’s for over 15 years. In fact, tens of thousands of vehicle tickets in California have been contested using our system. We are the original traffic ticket fighter and the TicketBust system has been developed specifically to prepare all your documents properly based on how you answer a few questions. This way you can fight your ticket, knowing you have maximized your chances of having the court dismiss your San Francisco County traffic ticket. When you contest a ticket using a Trial by Written Declaration not only don’t you need to go to court, but you don’t even need to take traffic school if the ticket is dismissed. If the ticket is dismissed, no point will appear on your driving record and the bail will be refunded to you in full. If the ticket is not dismissed and you are eligible for traffic school, then you should still be eligible after a Trial by Written Declaration. TicketBust service will prepare your full defense package for you, which includes your Trial by Written Declaration and all the defense documents required by San Francisco traffic court. Fill out the yellow form to fight your San Francisco traffic ticket now! Did you know that you aren’t allowed to pass the white limit line when you are stopped at an intersection? From our experience, this can be a common ticket issued in the county of San Francisco, so be on the lookout and stay behind that solid white line. If you find yourself having received a traffic ticket in San Francisco, give us a call or fill out our form to see how we can help! San Francisco is Spanish for Saint Francis, and most likely came from the Mission San Francisco de Asis, established in 1776. During the Gold Rush of 1849, the population exploded from 400 to 25,000 residents and the Bay instantly became one of the world’s greatest seaports hosting 11 vessels in 1848 and more than 700 vessels in 1849. Less than 20 years later, the 1906 San Francisco earthquake destroyed about 1/4th of San Francisco’s buildings and rendered over 200,000 residents homeless, causing regugees to settle in tent villages in Golden Gate Park, the Presidio, and on beaches or to flee to other counties. Yet in following years, San Francisco would go on to build some of its most important infrastructure and develop into the infrastructure and tech industry leader it is today. San Francisco County is home to nearly 885,000 people and the only California county that consists of a single city. The county encompasses only 46.89 square miles making it the fifth most densely populated county in the United States. As of 2016, San Francisco County was the 7th highest income county in the United States with a per capital income of just over $110,000. San Francisco is a popular tourist destination with landmarks like the golden Gate Bridge, iconic cable cars, the former Alcatraz Federal Penitentiary, and Alamo Square park. San Francisco is ranked one of the most walkable cities in the U.S. and is home to the San Francisco Giants major league baseball team, the San Francisco 49ers national football team, and the Golden State Warriors national basketball team.